MILITARY / MOTORCYCLE BROWN LEATHER HELMET / HAT Motorcycle hood helmet with comfort.. PILOT / MOTORCYCLE BROWN LEATHER HELMET / HAT Motorcycle hood helmet with comfortabl..
SOVIET RUSSIAN USSR DUST GLASSES GOGGLES PILOT MOTORCYCLE WW2 NO SCRATCHES! .. 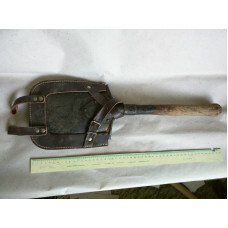 Original RARE Austrian-German Military WW I - WW II Entrenching Shovel Spade tool- WITH CARRIER!!! 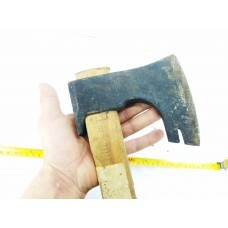 ..
WORLD WAR 2 ORIGINAL GERMAN MAP OF THE BALKANS BATTLE FIELD "BALKAN-KRIEGSSCHAUPLATZ" ..
**SOLD** WWI WWII RUSSIA USSR MILITARY TRENCH WIRE CUTTERS Dear buyi..
***SOLD*** VINTAGE MILITARY BEARDED STEEL AXE HATCHET Dear..
***SOLD*** SOVIET RUSSIAN USSR DUST GLASSES GOGGLES PILOT MOTORCYCLE WW2 NO SCRATCHES!.. 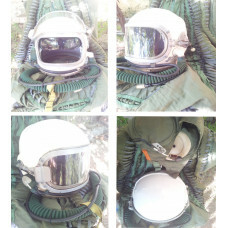 ***SOLD*** Flight pilot Helmet & pressure suit Cold War MIG-25 Soviet Russi ..
***SOLD*** VINTAGE MILITARY BEARDED STEEL AXE HATCHET & LEATHER SHEATH ..
***SOLD*** Original RARE Austrian-German Military WW I - WW II Entrenching Shovel Spade tool- WI..
***SOLD*** LOT OF 4 PCS WWI WW1 GREAT WAR - PICK AXE AND 3 AXES It is LOT of Ger..
**SOLD** PILOT / MOTORCYCLE BLACK LEATHER HELMET / HAT Motorcycle hood helmet wi..
** SOLD ** Original Cold War Soviet Mig pilot flight helmet and Soviet MIG PIL..